Shigenobu Ogata, Ju Li and Sidney Yip, Science 298 (2002) 807-11. Ju Li, Krystyn J. Van Vliet, Ting Zhu, Sidney Yip and Subra Suresh, Nature 418 (2002) 307-310. Financial Times 07/18/02 "Model that adds up to plasticity" by Fiona Harvey. 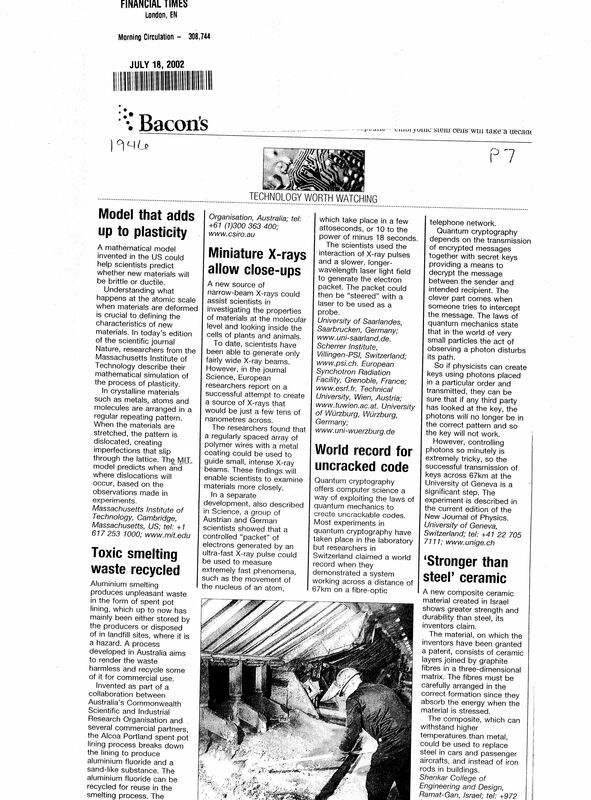 Space Daily 10/03/02 "MIT Model Predicts Birthplace Of Defect In A Material"
Related: Technology Review October 2002 "Nanotech Goes Mainstream" by Alexandra Stikeman. Ju Li and Sidney Yip, Computer Modeling in Engineering and Sciences 3 (2002) 219-227. Antonino Romano, Ju Li and Sidney Yip, Physica A 304 (2002) 11-22.